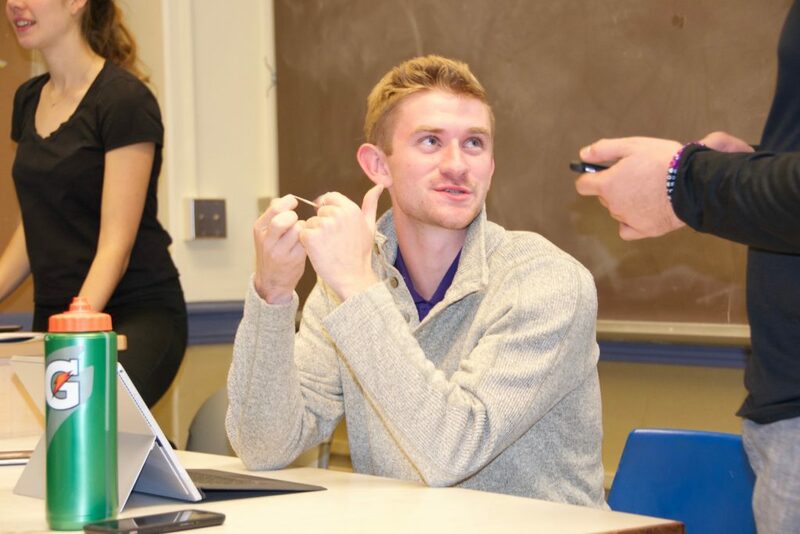 Everyone involved in the Green Greek Representative Program is passionate about sustainable practices, but having strong leadership like Daniel can help everyone reach that next level. We are proud to highlight Daniel Merz in our Executive spotlight this week! Thinking of sustainability as simply being efficient with resources is a great way to think about it. 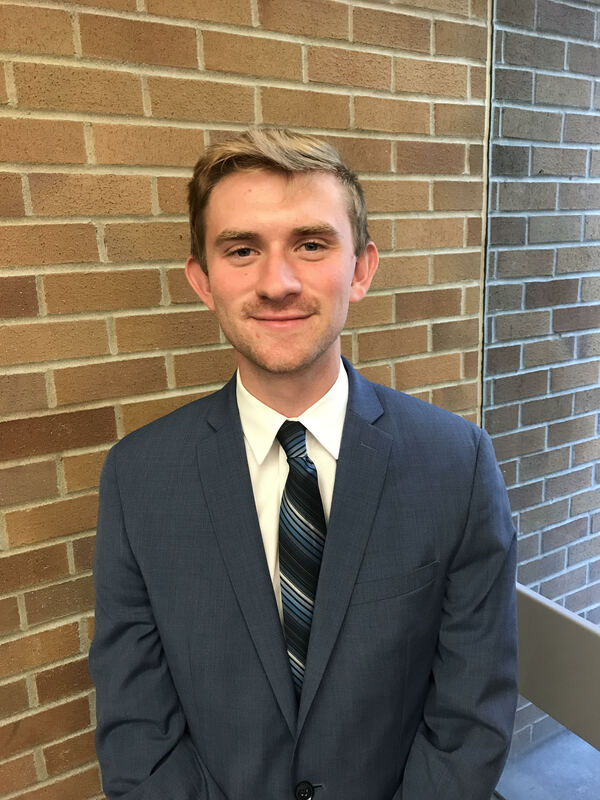 As for what his job as VP of Operations entails, he manages all the project groups, consults them in difficult situations, analyzes their performance, and guides them to their goals and club goals. A very important role! Thank you, Daniel for all your hard work. We appreciate your leadership here at Green Greeks! 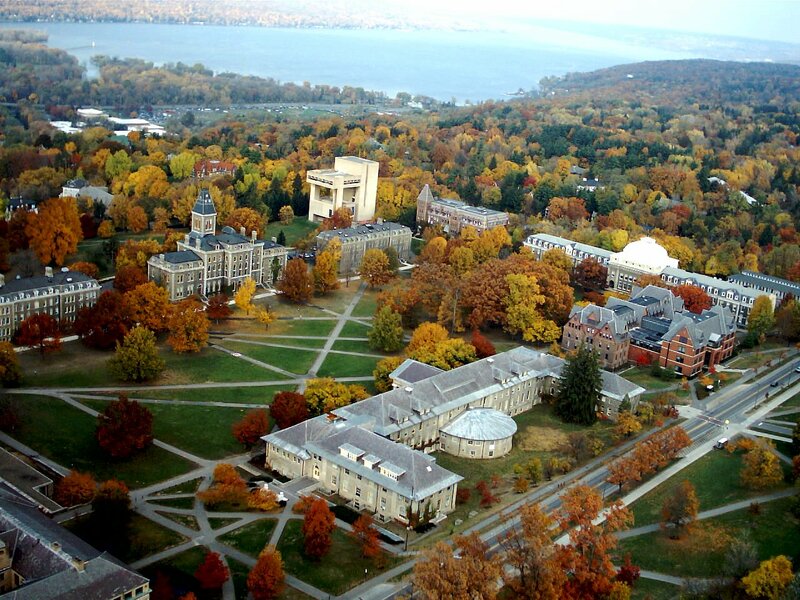 Green Greeks Wishes UW a Happy First Day of School! With summer time coming to a close, we at Green Greeks are so excited to welcome everyone back to campus and look forward to getting to work with all of our new and returning members this fall. We are so excited to announce that after two years of hard work and perseverance, we will be an accredited course this year while we dive into our third year of sustainability in the Greek Community. The Green Greeks Representative Program offers 1 credit to all of our members and up to 2 credits for our project leaders, which is an amazing accomplishment for us and we are so excited to offer this opportunity to our members. Over the last two years we have learned a lot from our members and from those around us. 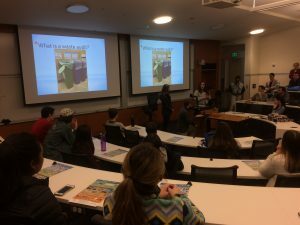 We have seen over 150 representatives in over 50 unique major programs across the University of Washington with a Sorority participation rate of 84% and a Fraternity participation rate of 57%. We have seen fourteen different chapters save an average of $2,800 per year through sustainable water solutions: which is around $2ook savings in total. Currently, we are on track to save upwards of $500k in the next 5 years and it wouldn’t be possible without the immense support we’ve received from our brothers and sisters campus wide! This year, we will be still meeting Tuesday’s every other week starting on October 3rd. We have some amazing speakers and presentations lined up for this quarter and can’t wait to share what we learn with the whole Greek Community. Since we are now accredited, our grading is based mainly on participation so that we can get as many men and women working to better our homes and our environment as possible. 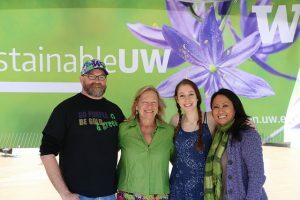 With that in mind, we are so excited to welcome new (and old) members to our new Green Greek course and can’t wait to see what kind of positive impact we can have on the UW campus this year. Check out the full course information here. We wish everyone a successful first week of classes, Go Dawgs! 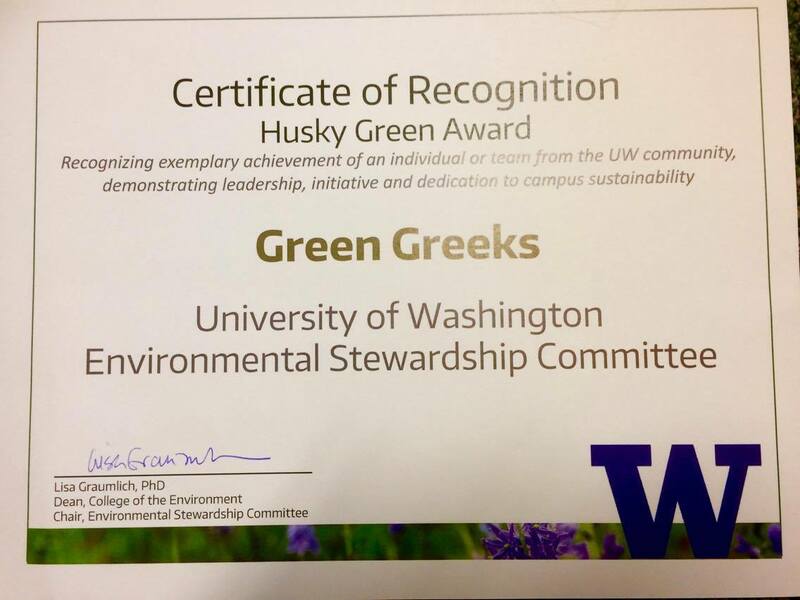 Green Greeks is proud to announce that we were recognized as a Husky Green Award Nominee this year for our exemplary leadership in the UW Community and our dedication to campus sustainability! We are extremely appreciative of our leadership team, including Director Talia Haller, VP’s of Finance Mikey Callan and Shiv Chitre, VP of Operations Daniel Merz, VP of Fundraising and Events Alex Urasaki, and VP of Outreach Emma Conneely. We are also incredibly grateful for the numerous project leaders who do such awesome work in the community and produce successful results: Jane Green, Gavin Forster, Lia Carstens, Ben Weymiller, Natalie Logan, and Elizabeth Szorzad! Thank you all for your efforts. And lastly, we are incredibly appreciative of the support we’ve received from the Greek Community as a whole, including Chapter Presidents, individual members, and the Greek governance organizations: IFC and Panhellenic.